A wise person once told me that you should treat your hair as delicate as your skin. The sun damages and dries while the vapid Chicago winds dry it out. It’s important to have different Chicago-related beauty routines, especially where your hair is concerned. Contrary to popular belief, It does matter what type of shampoo, conditioner and product you use on your hair – especially colored types. We spend enough money on our cuts and coloring so we should protect it in between those pricey visits. It’s best to use sulfate-free products. 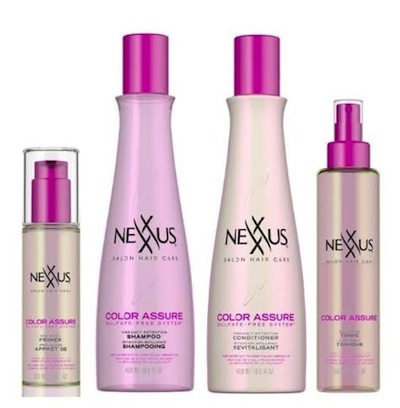 They’re easy to find, but Nexxus Color Assure is the highest quality product for the price point. Start with the Primer while your hair is dry before the shower. Hot water is harsh on your hair, so the cooler temperatures are better. After shampooing, leave the conditioner in during the rest of your showerly duties. Let the conditioner rinse be the last thing you do before turning the water off. This serves as a mini daily deep conditioner. 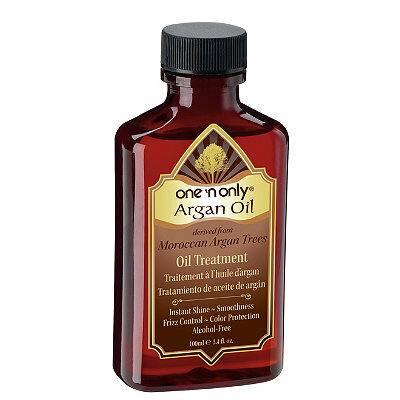 My every day post-shower hair product for all weather types is One ‘n Only Argan Oil. It can be found at Sally Beauty Supplies and lasts nearly a year! I’ve been using it for over a decade, days missed are highly noticeable on my texture and frizz control. Shamefully, I recently purchased a Kardashian Beauty product. Simply because their hair is bomb (does there need to be a better reason?). 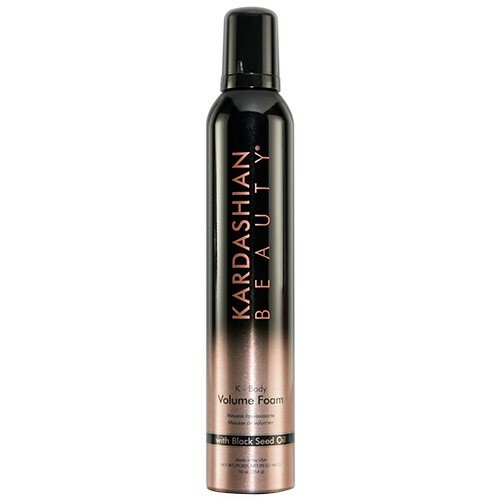 I bought the Kardashian Beauty K-bomb Volume Foam, and so far I love the results! To use, apply at the roots when damp for a little extra va-va-voom! If you’re hesitant, it’s made with black seed oil… I’ll let you think about that one. All jokes aside, it works double duty to promote hair growth and prevents hair loss. It doesn’t take expensive products to maintain great hair. It’s important to keep it simple and be consistent with a daily routine. Adding something like the Kardashian Volume Foam ever so often enhances your routine but adding too many products too often can be wasteful and expensive. Don’t overdo it and weigh your hair down after all the hard work you put into it! Any Chicago haircare tips I missed? Let me know in the comments!